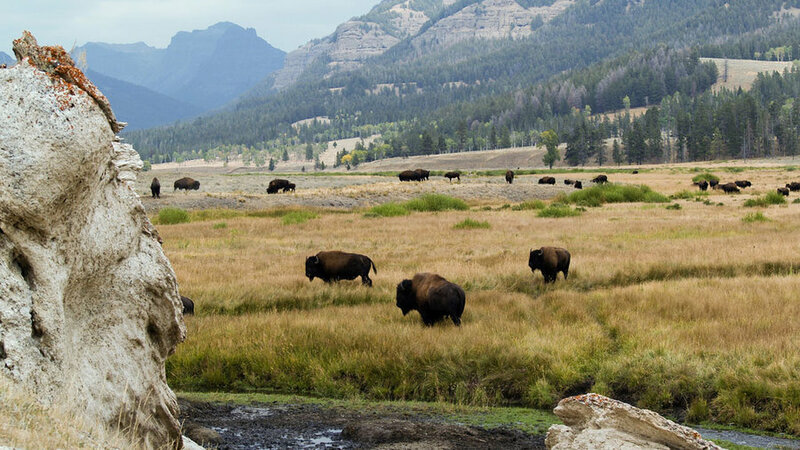 Just east of Tower-Roosevelt, this area provides one of the most plentiful opportunities to catch a glimpse of Yellowstone's exotic wildlife such as elk, bison, osprey, bald eagles, antelope, moose, black bears and grizzlies, as well as bears and wolves. Early morning and late evening are the times of day where you're most likely to have the best luck. 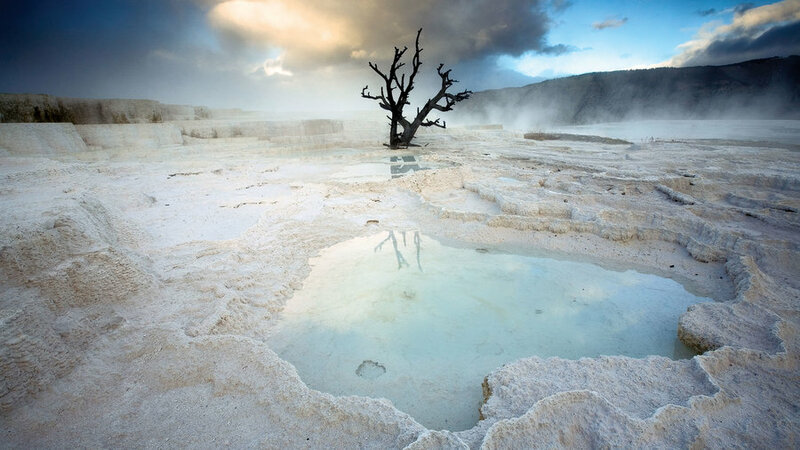 Several key ingredients combine to make the Mammoth Hot Springs Terraces: heat, water, limestone, and a rock fracture system through which hot water can reach the earth's surface. One of the oldest hydrothermal features in the park, Castle Geyser's eruptions are a sensational experience in sight and sound―with a cone reaching up to 90 feet, it sounds like an oncoming steam train. 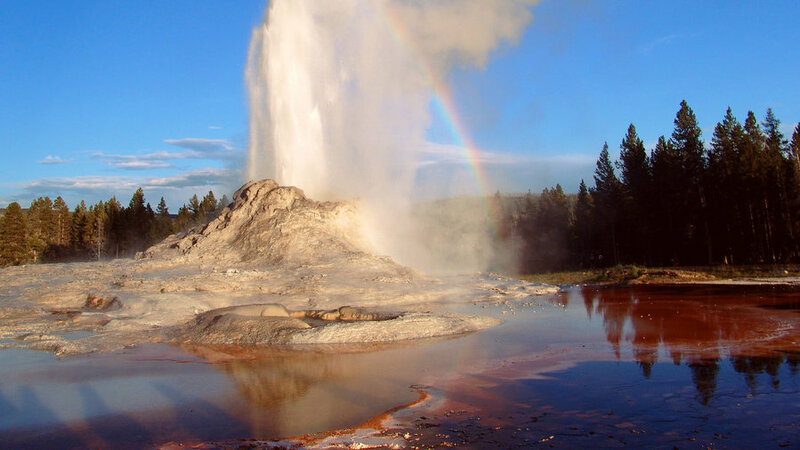 The largest hot spring in the park (and the United States) looks almost other-worldly in its rainbow-like brilliance. The Hayden Expedition in 1871 named this spring because of its beautiful coloration, and the fluorescent intensity depicted in artist Thomas Moran's water-color sketches. Downstream on the Yellowstone River, Yellowstone's 24-mile-long and thousand-foot-deep Grand Canyon is every bit as breathtaking as the one in Arizona (for reasons all its own), offering a supreme vantage point of several Yellowstone landmarks including the Upper and Lower Falls, Artist Point, Point Sublime, and Silver Cord Cascade. Both rims of the canyon offer spectacular views, but the north side is the most popular. On the south rim of the Grand Canyon, Artists' Point commands a 700-foot vista down to the river. 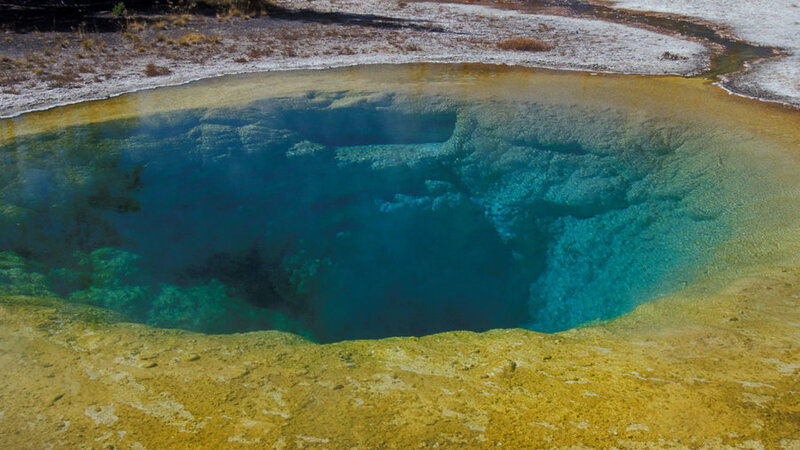 Just because you've been hearing about this punctual geyser your whole life doesn't mean that it will be any less awe-inspiring when you see it for the first time...or the 15th time. 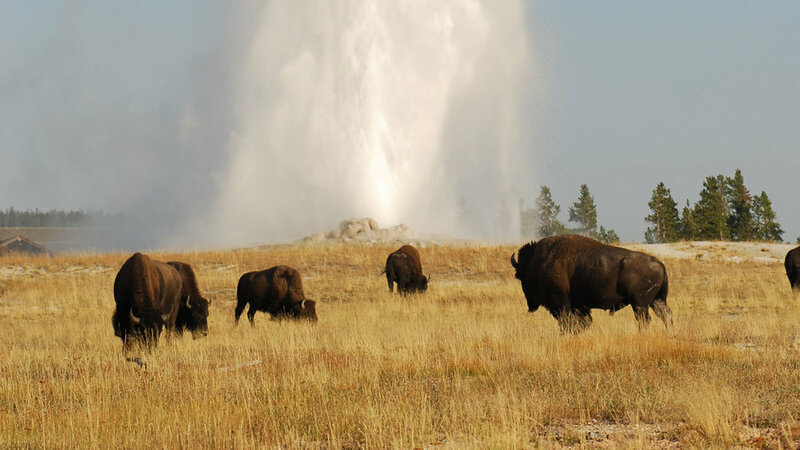 For well over a century, the dependable Old Faithful has been the most popular geyser in the park, outdoing its higher and larger rivals. On average, it "performs" about every 90 minutes. The West Entrance to Yellowstone National Park begins out of the southeast corner of the town of West Yellowstone, Montana. 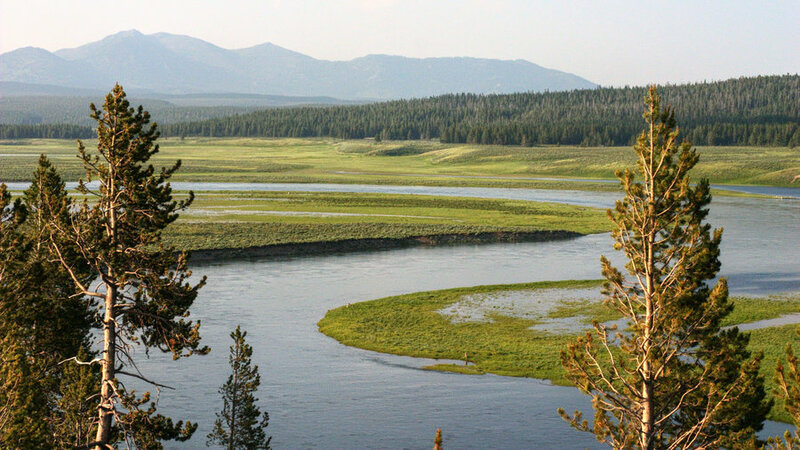 The road follows the Madison River and the Madison Plateau to the south and the rim of the Yellowstone Caldera to the north. 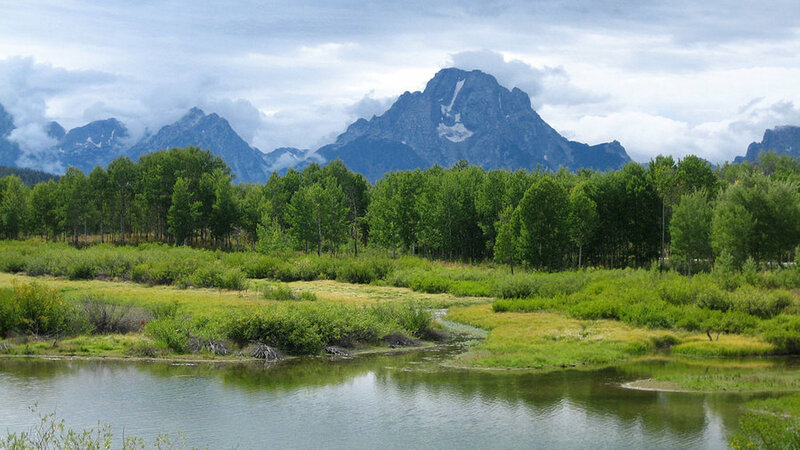 Other landmarks include Mount Haynes, Mount Jackson, and National Park Mountain, owing its name to the fact that it overlooks the site where the idea for Yellowstone National Park was conceived. Three miles north of Old Faithful is Biscuit Basin, named for the unusual biscuit-like deposits formerly surrounding Sapphire Pool. 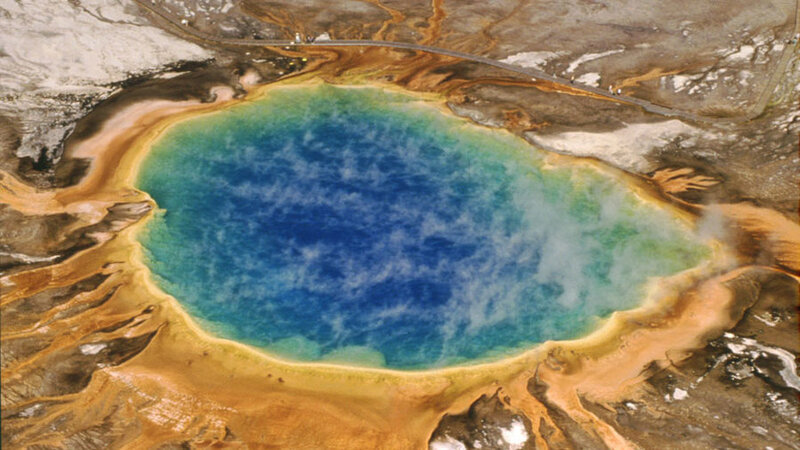 Other notable colorful features in the basin are Jewel Geyser, Shell Geyser, Avoca Spring, and Mustard Spring. 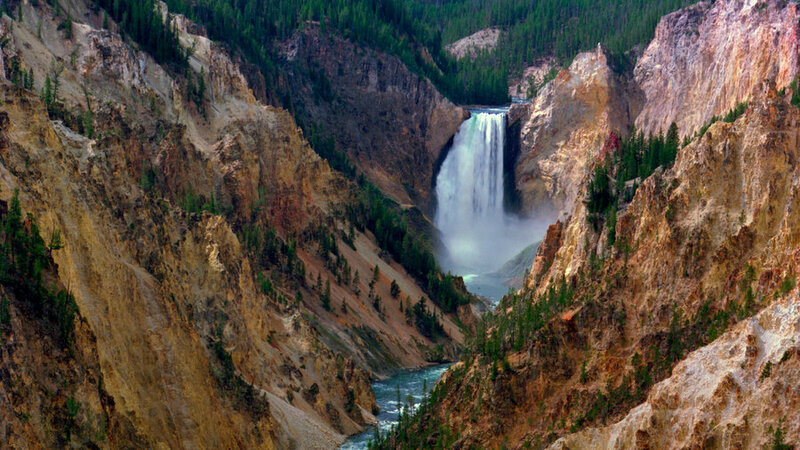 The Yellowstone River is the force that created the canyon and the falls. It begins on the slopes of Yount Peak, south of the park, and travels more than 600 miles to its terminus in North Dakota where it empties into the Missouri River. 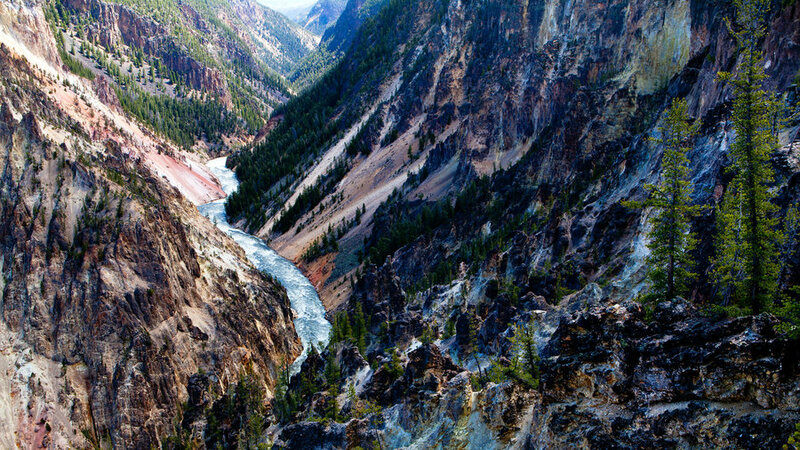 It is the longest undammed river in the continental United States. Electric Peak and Sepulcher Mountain dominate the view from Gardiner, MT, the northern gateway to Yellowstone National Park. 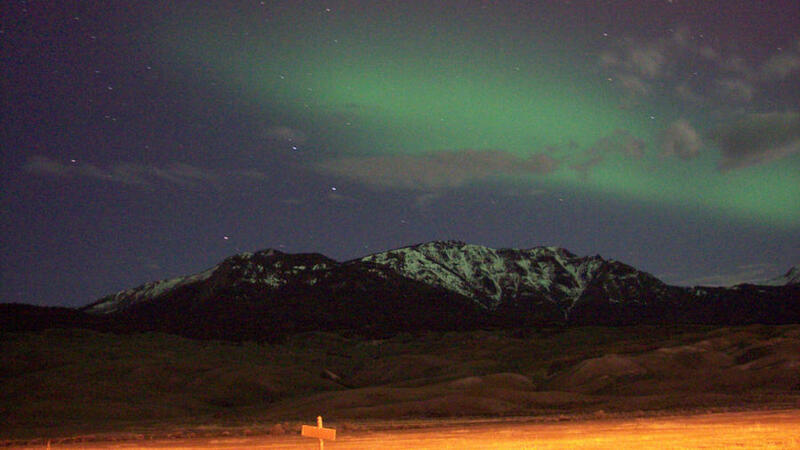 They are most impressive from Highway 89, just north (downhill) from Gardiner. The approaches to each lie within the park, from the south and east of the summits. 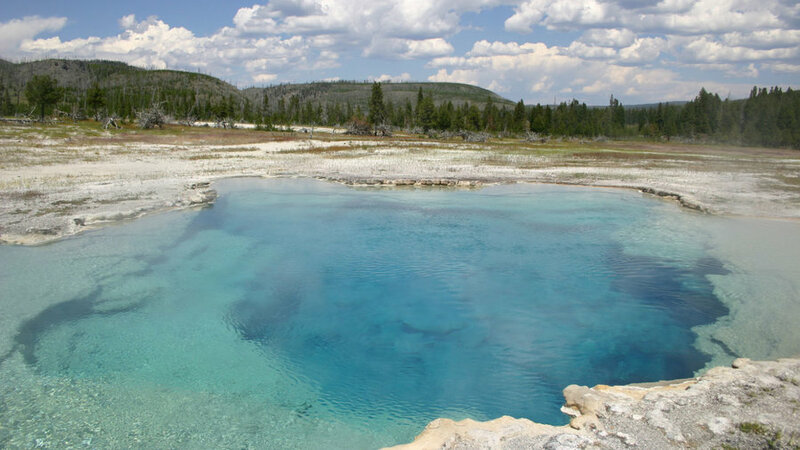 Long a favored destination for park visitors on the Old Faithful area tour, Morning Glory Pool was named in the 1880s for its remarkable likeness to its namesake flower. Through the years Morning Glory's appearance has changed as its temperature dropped. Orange and yellow bacteria that formerly colored only the periphery of the spring now spread toward its center. Don’t miss a trip to the park’s own Grand Canyon, whose walls, in certain light, shine the color of spun gold. The canyon also has not one but two magnificently cascading waterfalls. At 132 square miles, Yellowstone Lake is hard to miss. But to really appreciate it, rent a rowboat from Bridge Bay Marina and paddle out onto the blue waters. 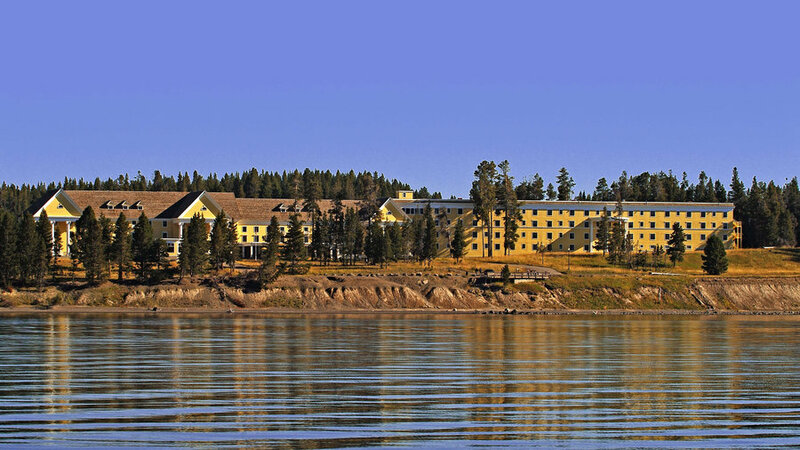 Post-voyage, grab a view-filled meal at serene, butter yellow Lake Yellowstone Hotel & Cabins.